It's true that we saw a ton of dark vampy makeup at Fashion Week Fall 2010. 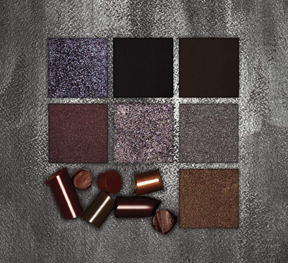 Bobbi Brown's contribution is a beautiful set of lip and eye colors that will give you (like she said above) a wearable, dramatic look for fall. Available September 2010. Read more on how to get the vampire look from Hope's post on Brilliant Color and Beauty Today. This looks amazing! I love Bobbi Brown!